The IES Virtual Environment (IESVE) is a powerful, in-depth suite of building performance analysis tools. It allows the design and operation of comfortable buildings that consume significantly less energy. Adtek Energy Analyzer performs energy comparisons of up to 4 different HVAC systems. Simplified energy analysis for homes and low-rise residential buildings. Free. User support no longer available. Insight 360 empowers architects and integrated teams with centralized access to performance data and advanced analysis engines. UrbaSun is a software to compute solar radiation in urban areas. LoopLink RLC is powerful, web-based residential/light commercial geothermal design software that allows you to quickly and easily design loopfields for multiple zone, multiple heat pump geothermal systems from anywhere. 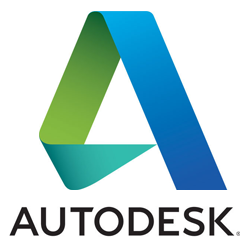 GRAPHISOFT has developed another tool for your BIM toolbox. This tool – the EcoDesigner STAR – creates a streamlined energy analysis workflow. Essentially – architects can use their ArchiCAD BIM as a Building Energy Model (BEM). PsyCalc® is an electronic psychrometric calcultion tool that operates over a wide range of temperatures, moisture content and pressures. With two inputs, psychrometric properties and pressure, PsyCalc® returns eleven key properties. THERM is a two-dimensional conduction heat-transfer analysis program based on the finite-element method, which can model the complicated geometries of building products. Use TRACE Load 700 software - the building and load design modules of TRACE 700, Trane Air Conditioning Economics - to evaluate the effect of building orientation, size, shape, and mass based on hourly weather data and the resulting heat-transfer characteristics of air and moisture. Graphically analyzed EPW climate data in dozens of different ways of particular value to designers. Adtek AccuLoad is Quick and easy to use ACCA Approved Manual-J Residential Load Calculation program. EnExPlan is a powerful and intuitive do-it-yourself energy saving software for building owners and managers with medium to large portfolios of buildings. A versatile system design tool and an energy simulation tool in one package, Carrier Hourly Analysis Program (HAP) provides the ease of use of a Windows-based graphical user interface and the computing power of modern 32-bit software. See how much energy and money and carbon you can save by making various design or remodeling changes to your home with this free new easy-to-use program. You can draw in the floor plan of your own house, then click and drag your windows to their correct location. Measurabl is sustainability reporting software built to help you collect, report, and act upon non-financial data. You can effortlessly collect utility, waste and travel data, create and e-File financial-grade reports on demand, and analyze sustainability KPIs to make improvements. Accelerad is a free suite of programs for fast and accurate lighting and daylighting analysis and visualization. Accelerad maintains compatibility with Radiance file formats and commands while running at speeds up to forty times faster using GPU acceleration. SPOT Pro™ is a premier daylighting design and analysis software with two main functions: analyzing the daylighting performance of a given space and optimizing photosensor-based electric lighting control system savings in the presence of daylight.